When you share a song, you can provide additional information about the song, such as its genre, instrument or key. 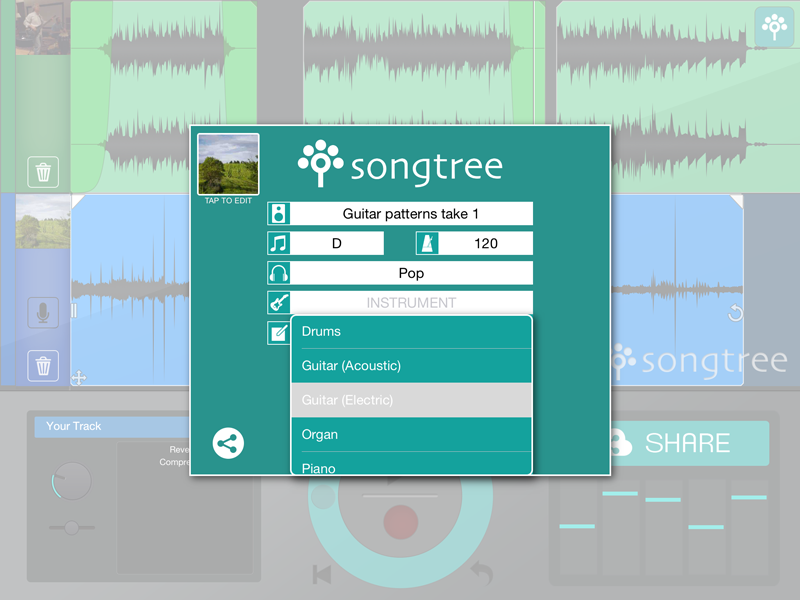 Tip: It is recommended to provide all the info you can about your song or overdub when you share it: by filling in the tempo, key and genre fields in the upload dialog you will have a higher chance that others will be able to play great parts over your song. When you upload a new song or an overdub, you can then invite others to overdub your song. 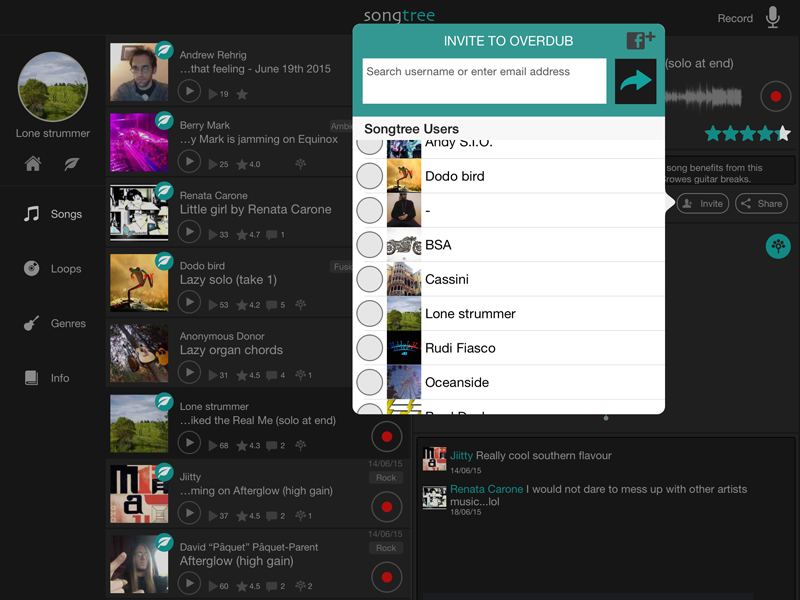 Actually, Songtree lets you invite users to take part in a song also if you are not a contributor, so if you think a user or a friend would sound good over someone else’s song, you may still invite them.